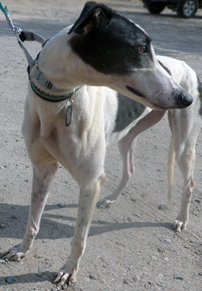 Madea is a beautiful, energetic girl. She would love to move in to a foster home or on to a forever couch! She is available for adoption to a home without small animals because of her high prey drive! Madea is currently in the kennel but we need to get her into a foster home or find her forever home soon! Please help this girl move forward and know a parent's love and attention. Please check back... more about her soon!